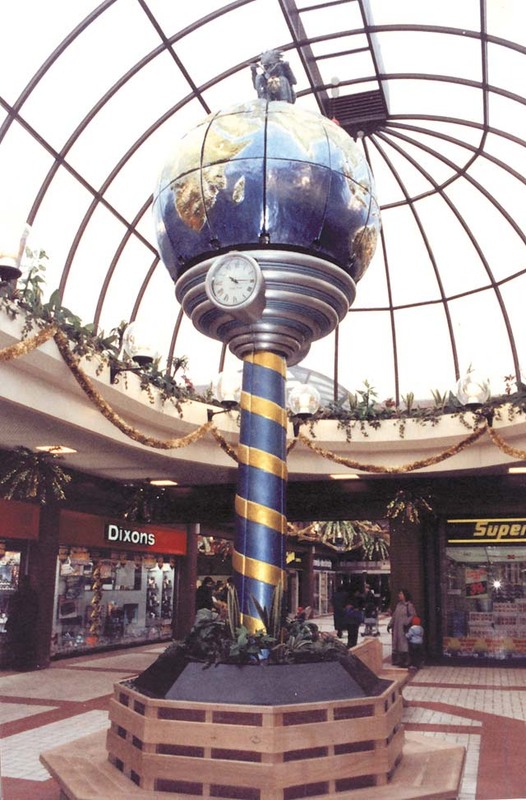 A 22′ high clock column and anodised globe of the world topped by father time on his bike. He wakes the hour and is carried into the air by a pair of cherubs in a cloud. 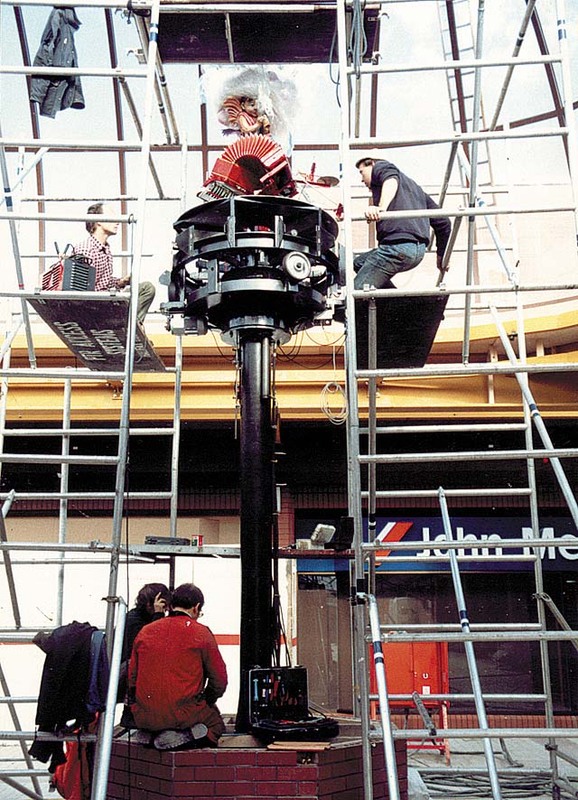 The world spins and opens, revealing a band of devils playing ‘ Rock Around the Clock’. Co-designed with Ali Wood. 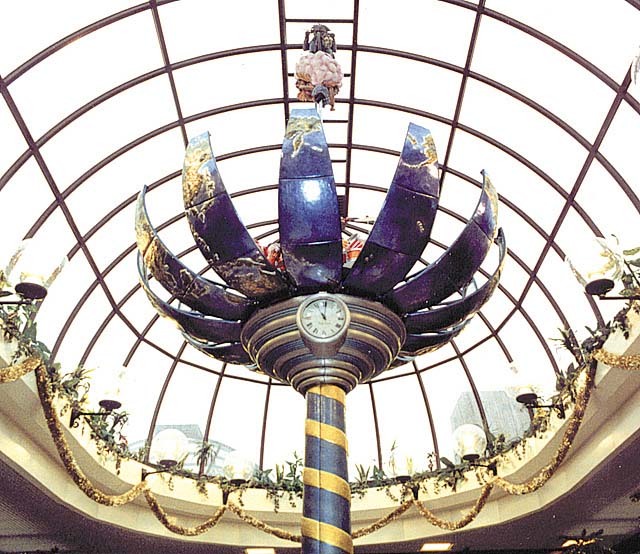 Commissioned by Town and City Properties in 1987.